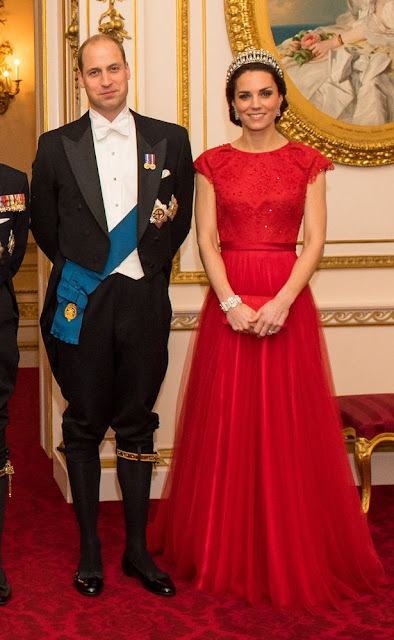 Kate Middleton donned her late mother in law Princess Diana’s favorite diamond tiara for an elegant new royal family portrait at the Buckingham Palace, London yesterday. The Duchess of Cambridge posed with her husband Prince William, the Queen, her husband Prince Philip, her son Prince Charles and his wife Camilla, the Duchess of Cornwall for the official photo. tiara and featuring swinging pearls hanging from 19 diamond-studded arches - in public. The Queen inherited the gorgeous tiara from her grandmother Queen Mary, and gifted it to William’s mother, Diana, for her wedding to Charles in 1981. 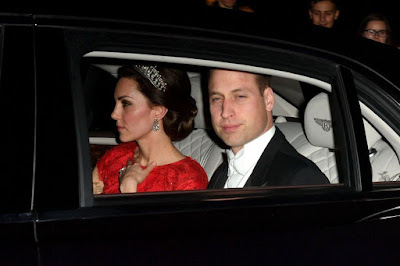 It was returned to the royal family when the couple divorced in 1996. 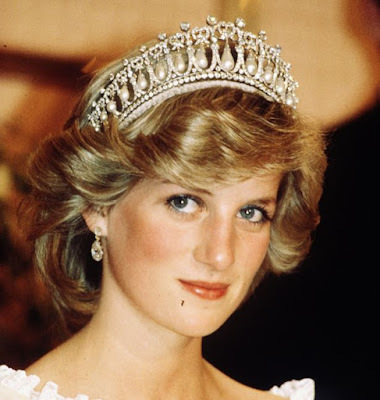 Diana, of course, died at age 36 in a Paris car crash the following year. 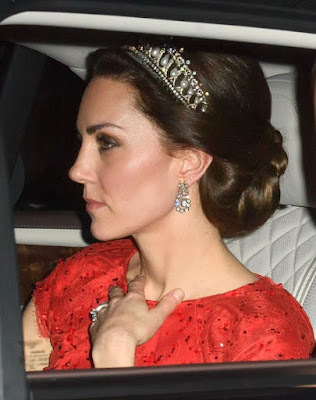 Despite having been married into the Royal Family for more than five years, this is only the fifth time Kate has worn a tiara.